This is my weekly challenge page, here you will find all 17 challenges I had on my site in 2010. This list keeps getting longer so I chopped them off at the end of the year. 8 Ball Run Challenge #3, run these.. This Eight-ball Runout is definitely do-able! I think I'd run this rack about 1 out of 4 times! So would you take solids or stripes? How would you start this 8 ball run out? Opening shot could have been another sellout, have to take your chances at running stripes! 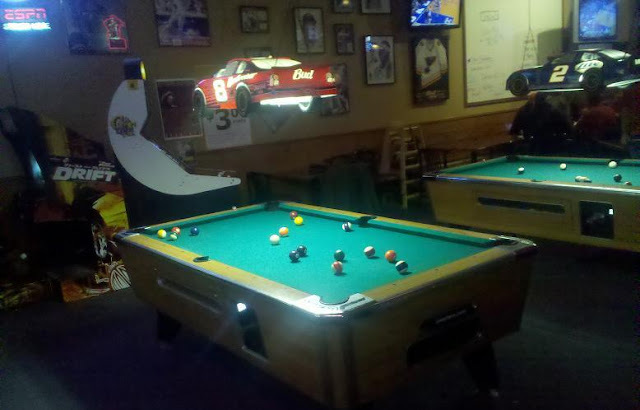 Your opponent missed his 6 ball and gave you another chance...although they got lucky in leaving you a tougher shot.